Virus and Spam Checking – Virus and spam checking are included with your Gmail account at no extra charge. Gmail automatically sorts suspected spam messages and messages containing viruses to the default Spam label. If you try to open one of these messages, you’ll see a warning before it opens. Free Email Storage – Store up to 15 GB of email messages in your Gmail account free of charge. If needed, you can purchase additional storage for an affordable monthly fee. Gmail is Reliable – It rarely goes down. If you’ve ever missed a message because your email provider was down, you know how important reliability is. If email reliability is a must-have for your business, Gmail is a good choice. Integration – Google has additional office suite tools such as Calendar and Drive that work well with Gmail. Plus, you can import contacts from your Google+ social media account. Having the business tools you need in one account is convenient. Simplify Multiple Emails – Like many small business owners, you probably have more than one email account. Checking them all takes time. Through forwarding and other techniques, you can use Gmail as a master email system to combine multiple emails into one. Customization – You can customize the Gmail interface with pre-existing themes or themes that you create yourself. Your inbox doesn’t have to look bland. Enhanced Productivity – Gmail includes a tasks to do list that open from within Gmail and Calendar. Having the task list tool integrated into your email account makes updating it a snap. Filters and Search – Gmail includes powerful filters tools that sort messages as you receive them. You can also use the Search function to find misplaced emails. Time saving Shortcuts – While Gmail is user-friendly with a complete system, advanced users can save time by enabling and using keyboard shortcuts. Or walk-through the detailed written steps below for more information on how to set up your Gmail account. You can only have one Gmail account for each Google account you set up. However, you can have more than one Google account. To create a new Gmail account, you need to create a new Google account. First, make sure you are logged out of any existing Google accounts that you have. 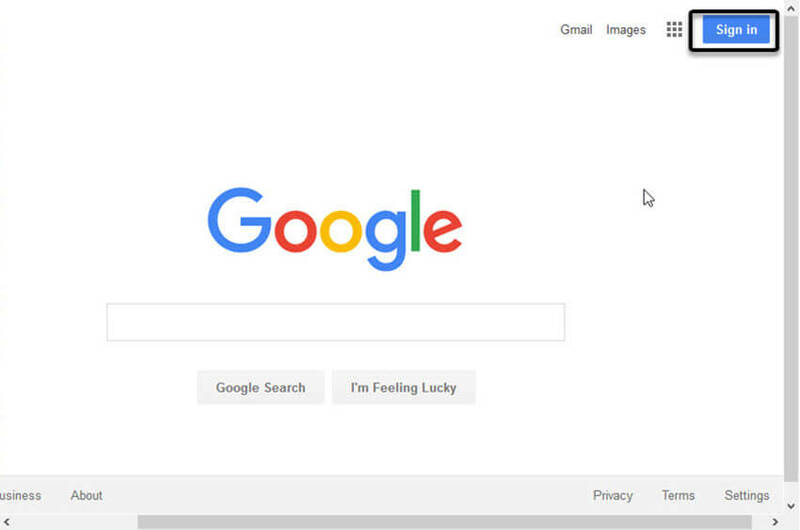 Start from the Google search screen, which you can access at google.com. Now sign in to the Google Search screen. Sign in to the Google Search screen. Click the Sign in button in the upper right corner. If you have current Google accounts, Google asks if you’d like to open one of those accounts now. Select the Add account link. Click the Add account link. The following screen displays. If you have a Google account tied to an existing email, you can find it by clicking the Find my account link. To create a new Google account, which you can use for a new Gmail account, click the Create account link. 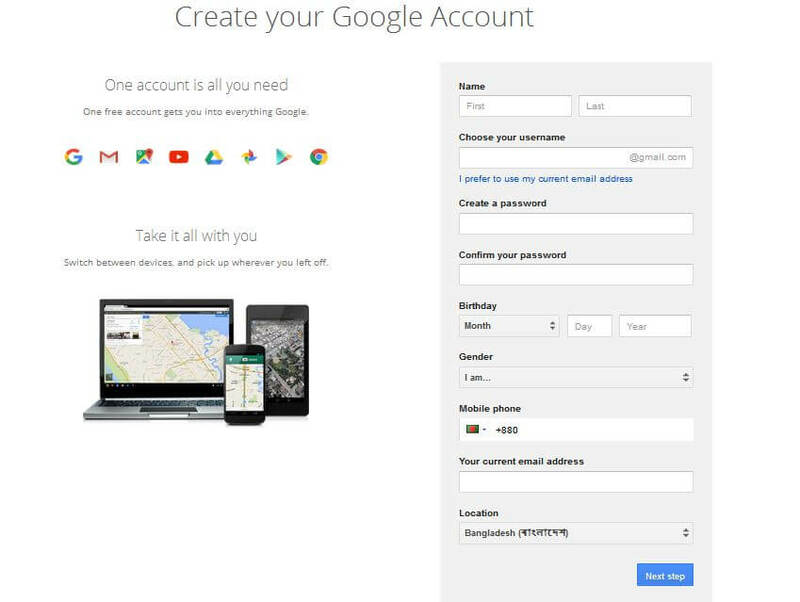 The Create Your Google Account window appears. To create a new Google account to use for Gmail, you will need to fill out this screen. 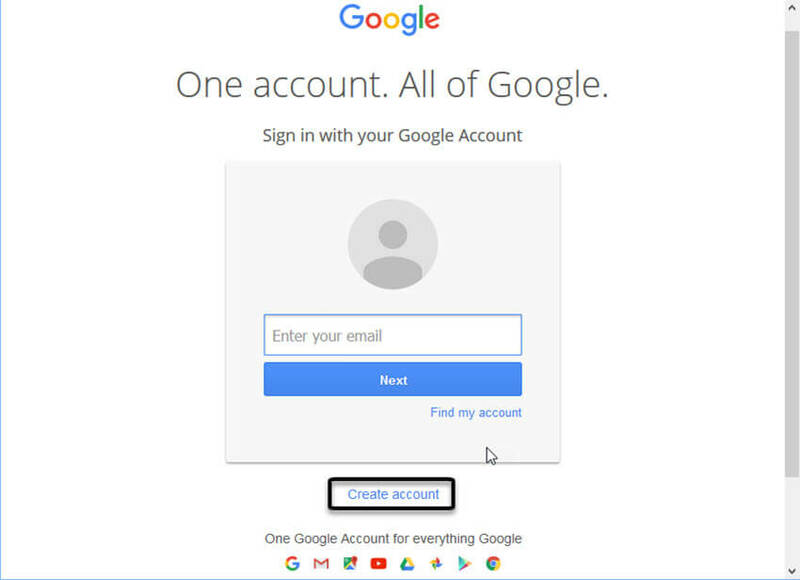 The following steps explain how to complete the Create Your Google Account window. Start with the Create Your Google Account window open. Type your name and username. Type your first and last name in the Name field. Type the username for your new Gmail account. You can use letters, numerals or periods in your username. The system ignores capitalization. You may need to try several variations of your desired username. The system will not let you choose a username that is already being used. You are now ready to enter a password. Type and confirm your password. Once you’ve selected a password, type it again in the Confirm your password field. You must type an exact match of your password. Start with the Create Your Google Account window open. If you need to, use the scroll bar on the right of the window to scroll down. When you place your cursor in the first Birthday field, a drop-down menu with the months of the year displays. Select your birth month. Type the date of your birth in the second Birthday field. Type the year of your birth in the third Birthday field. Click in the Gender field. Select your choice from the drop-down menu. Start with the Create Your Google Account window open. The next few fields can help you recover your account if you forget your username or password. Enter your mobile phone number and a recovery email address. Also, select your location. Enter your cell phone number into the Mobile phone field. Type your current email address into the next field. 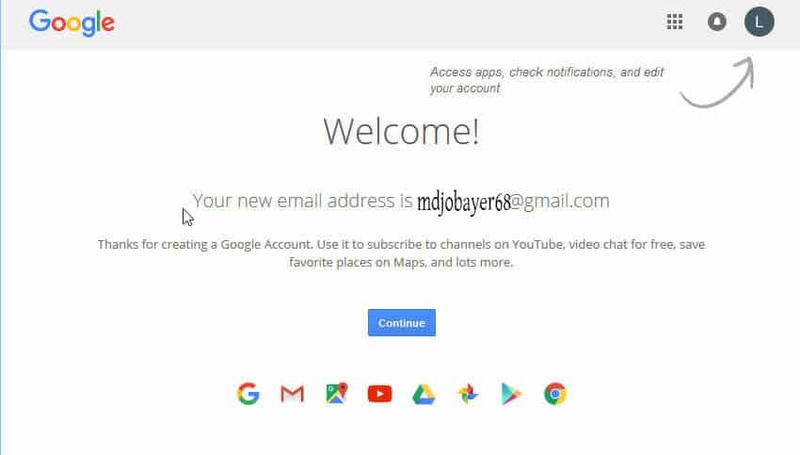 While you may be able to create a Gmail account without entering the optional recovery information, you will not be able to recover your account if you forget your password. I highly recommend that you fill out these fields. 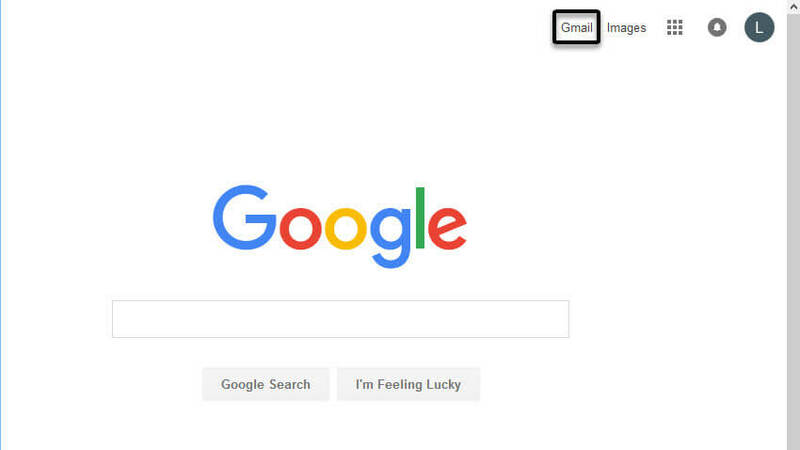 On some operating systems, you may also be given the option to make Google your default home page. Finally, select your location from the drop-down menu in the Location field. Once you have entered all the required information and the recovery information, click the Next stepbutton. 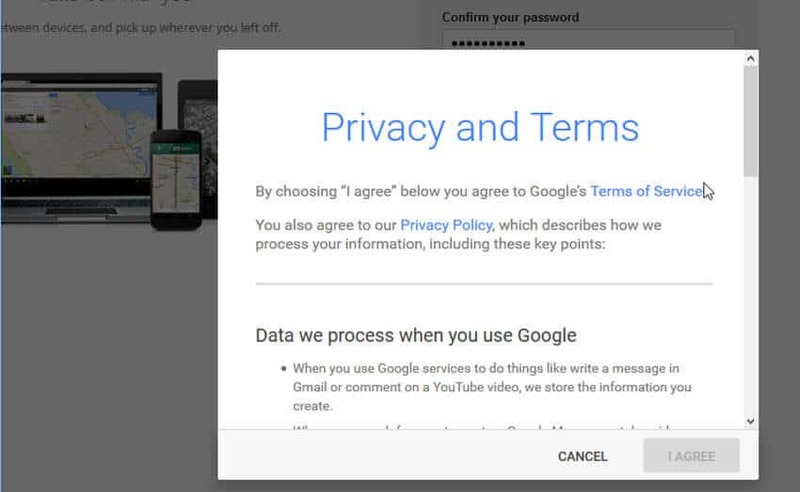 The Privacy popup displays with Google’s privacy agreement and terms of service. Click I Agree when you have reviewed the terms. It’s important to take the time to read the key points summarized in this popup. Use the scroll bar to view all the key points. When you have finished reviewing the information click the I Agree button to create your new Google account. Click Cancel if you do not wish to create the account. After clicking I Agree in the Privacy popup, you will be asked to verify your mobile phone number if you entered it earlier. Follow the instructions on the verification screens to verify your mobile phone number. Click Continue when you are finished. Click the Continue button when you have reviewed the information on the Welcome screen. You now have a new Google account which you can use your newly created Gmail account with. Now that you’ve created a new Gmail account, you’re ready to sign in. Return to the main Google screen. 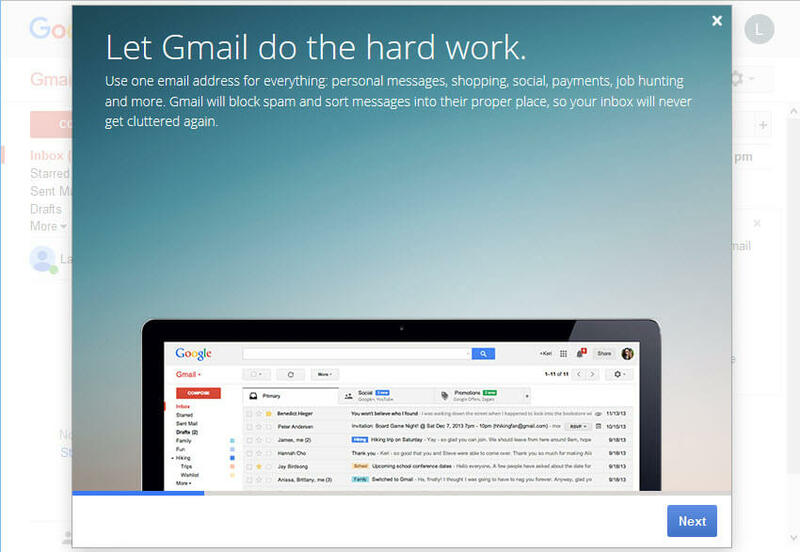 Click Gmail to open your newly created Gmail account. Click the Gmail link. Your new Gmail account that you created opens with an introductory screen. Start at the Gmail introductory screen. Review the Gmail introductory screens for information about your new Gmail account. When you have finished reviewing the information on the screen, click the Next button. Another introductory screen appears. Review the screen, and click Next again. Continue to click the Next button through each introductory screen. After the last introductory screen, a popup appears announcing that your new Gmail account is ready to use. Click the Go to Gmail button. You’ll see your new Gmail inbox with a welcome message from Google. You’ll also see some icons prompting you to perform various tasks such as adding a photo to your profile, choosing a theme, importing your contacts, and more. Type your first message right away using the Compose button. Or, click the various icons and follow instructions to perform the indicated tasks. When you have finished using your new Gmail account, click the profile icon in the upper right corner. The Account popup displays. Click Sign out to log out. Click the Sign out button to log out of your new Gmail account. Now that you know how to create a Gmail account, you can sign into and out of Gmail freely. Start working with it now. Begin by organizing your inbox and send out your first message. Gmail is a powerful email tool that you’ll want to take advantage of if you own or work in a small business. There are many advantages to using a Gmail account. And getting starting with creating a new Gmail account is easy.